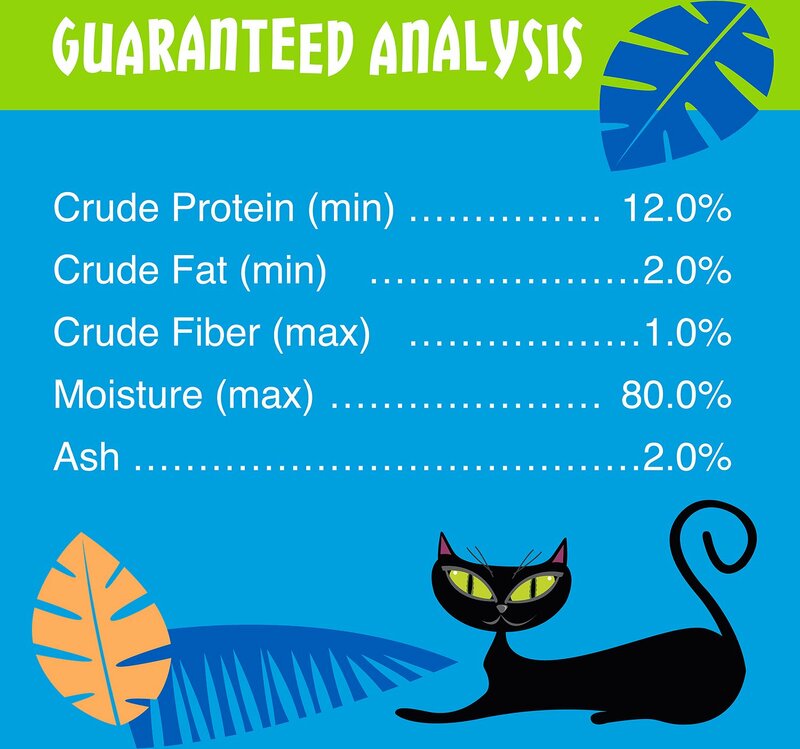 Recommendations vary greatly, based on your cat’s age, activity level and life stage. 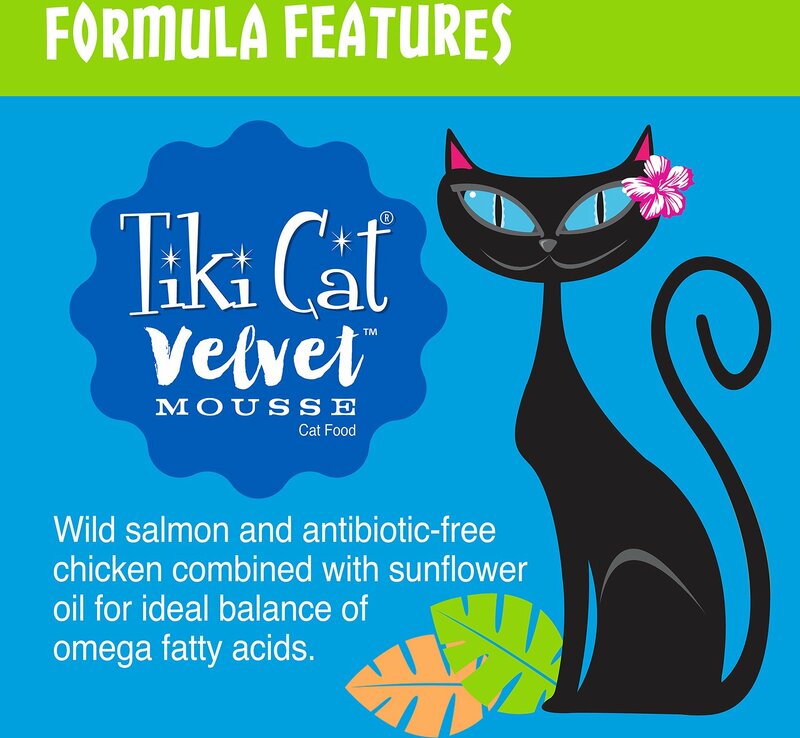 For Adult Cats: Feed approximately 2-3 pouches per day per 7 lbs. of body weight. For Kittens: Offer food several times a day, feed up to twice this amount. Always provide access to clean, fresh water. Canned food should be changed at least twice daily in order to prevent spoilage. Serve at room temperature, and refrigerate any unused portion. 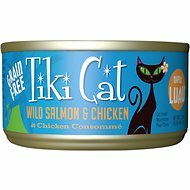 I spent a lot of time deciding which food to feed my two indoor kitties. They’ve eaten Fancy Feast, Wellness, Hill Science, Merricks, and more. Both cats prefer pate; one greatly prefers fish flavored pate. 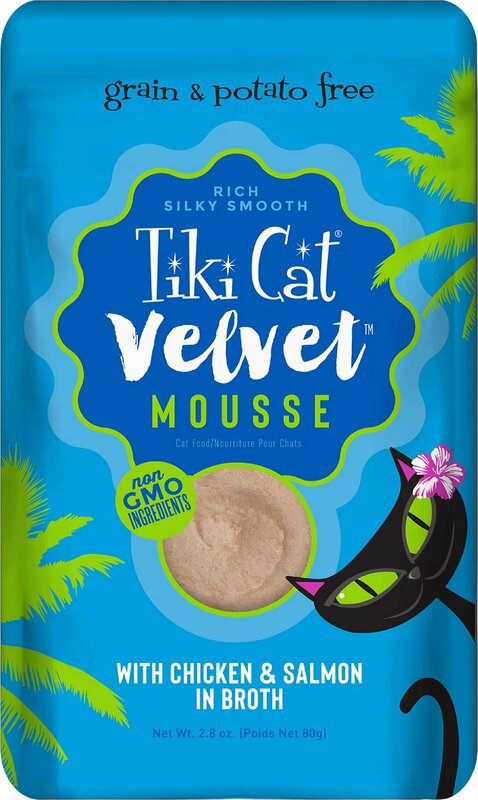 After a lot of research and consideration, I decided on Tiki cat mousse. I was so excited to give it to them so you can only imagine my utter SHOCK when they wouldn’t even try it. They *might* have sniffed it. It was so strange. I know they were hungry. Someone said I should video it for YouTube or something. I will never buy tiki cat mousse again. I tried this one and another flavor. 10/10 do NOT recommend. 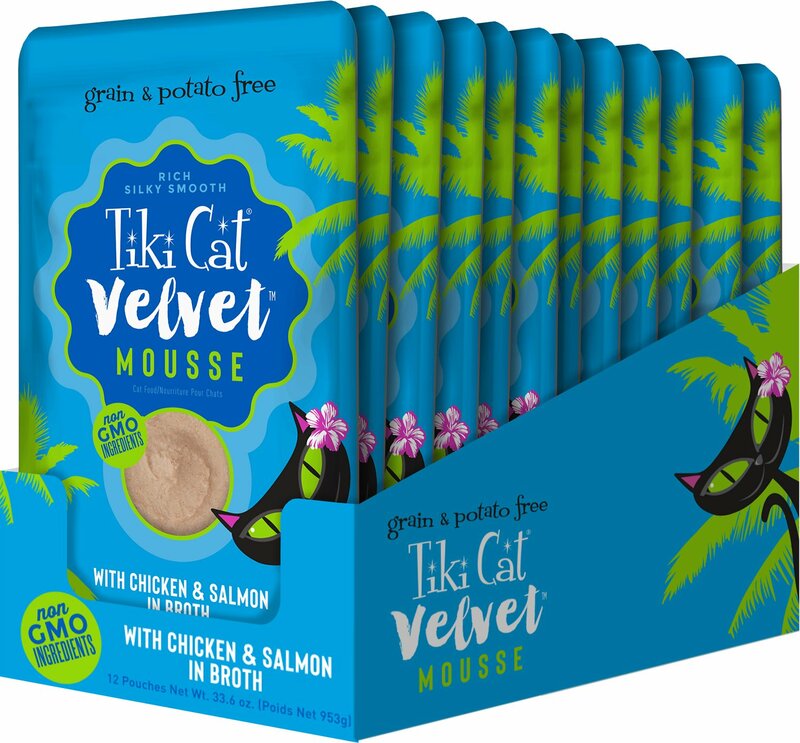 Our cats really like the Tiki Cat Velvet Mousse. I usually buy the variety box, but a few of the flavors are not quite as popular with them; they all like the chicken/salmon one. 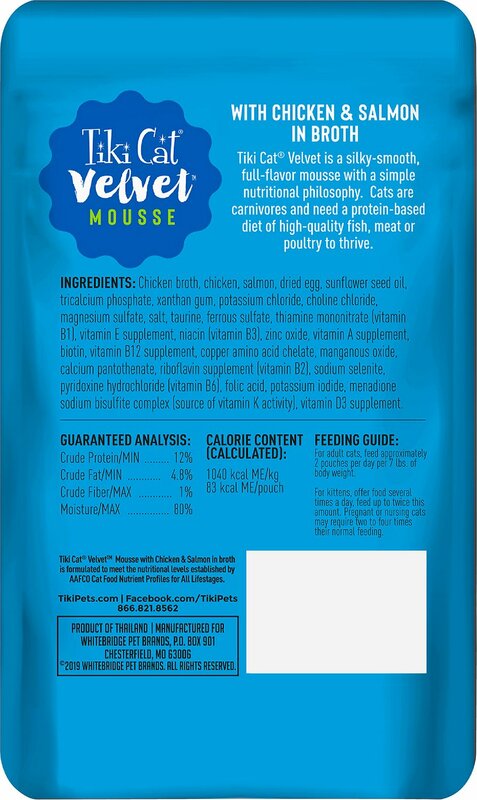 My cat loves this mousse! I have an older cat who has many health issues. This is a high protein no carb wonderful option. I add water and meds to this food and she laps it up! Our Cat Loves The Food!! Great products at great prices, with prompt delivery. We will continue to purchase from Chewy. Thank You!! Smooth, no chunks, just like a mousse! Kitty loved it so much she had the whole pouch in one sitting and she is very picky!